Chairs take the most stress on their back legs, where they bear the weight of the user's upper body. 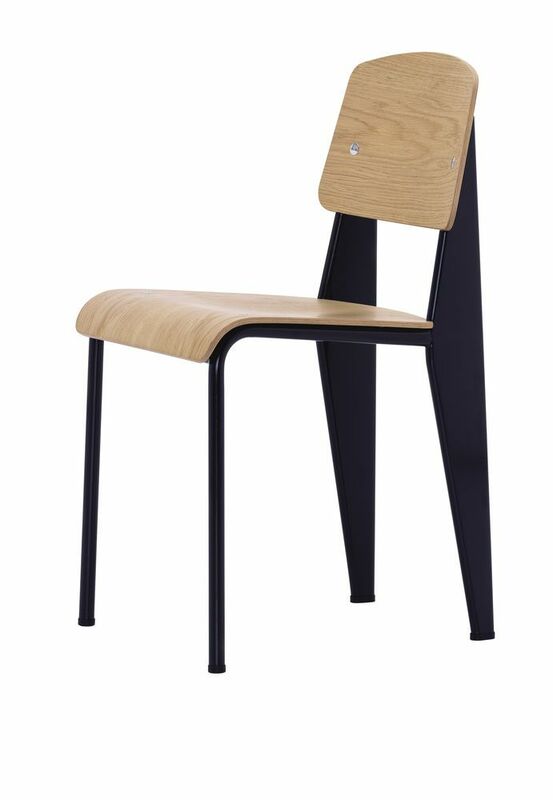 The engineer, architect and designer Jean Prouve incorporated this simple insight in his design for the Standard Chair: while steel tubing suffices for the front legs, since they are subject to less stress, the back legs are made of voluminous hollow sections that transfer the primary weight to the floor.Standard is available in the classic version with seat and backrest in wood or as the Standard SP model with seat and backrest in robust plastic. Oak (natural or dark finish) or walnut (black pigmented finish). Bent sheet steel and tubular steel, powder-coated finish (smooth).